The jobless rate in the United States dropped to 3.7 percent in September 2018, its lowest level since 1969 and the ratio of unemployed workers to job openings dropped below one, meaning that for the first time in 20 years there are more job openings than there are people looking for work. – US Department of Labor. Many companies seeking talent are now witnessing a shortage of qualified candidates along with a dramatic increase in ghosted interviews and kicked offers during their hiring processes. Making matters worse, once loyal employees are being lured away by competitors – creating unwanted attrition and even more jobs to fill. In fact, according to the Work Institute, an estimated 42 million employees left their jobs last year in search of workplaces that better met their needs and expectations. Any employer tasked with recent hiring understands: to get the best candidates to accept and stay on the job – what worked in the past, is not working today. Today’s job market is ‘candidate driven’ – and today’s candidates demand more options in how they are employed, and the mix of compensation and benefits they receive. To find in-demand skills in this tight labor market, many employers are turning to contractors more than ever. In fact, 57.3 million Americans, some 36% of the work force, are now consulting in one form or another according to Upwork. CNBC recently reported that Google’s contractors outnumbered its full time employees for the first time in its 20 year history and that this trend is on the rise at companies in all industries across the country. There are some candidates who want 100% covered health, dental, disability and life insurance policies, while others would rather have that money added to their compensation, so they can buy their own individual policies. 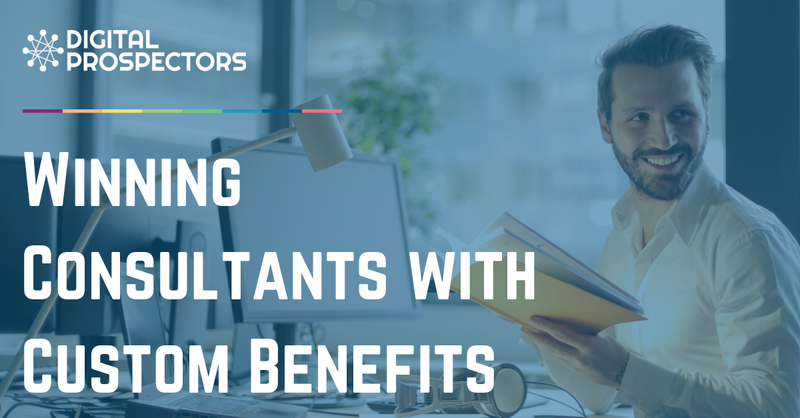 Recruiting firms who cater to all these candidates’ needs fill more of their clients’ jobs by thrilling career consultants with these offerings and tapping into a brand new talent pool who would not ‘normally’ consider contract or contract to hire work. Candidates working with Digital Prospectors get to accept their jobs with the compensation terms that suit them best. To our customers this means filling their jobs faster with higher acceptance rates and greatly increased cost savings due to lower unwanted attrition and improved work force morale. Contact one of our IT staffing specialists today!